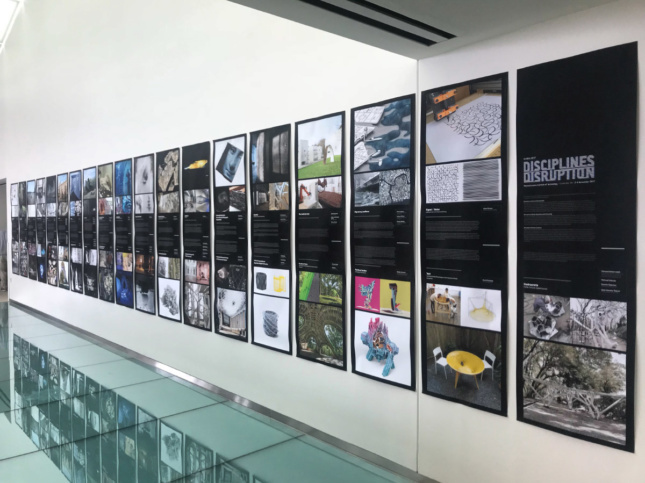 From November 2 through the 4, 2017, Massachusetts Institute of Technology (MIT) convened the 36th ACADIA conference in the Fumihiko Maki–designed MIT Media Lab. For three days, nearly 350 people from over 30 countries drank untold gallons of coffee and shared their ideas through an array of research and paper presentations. 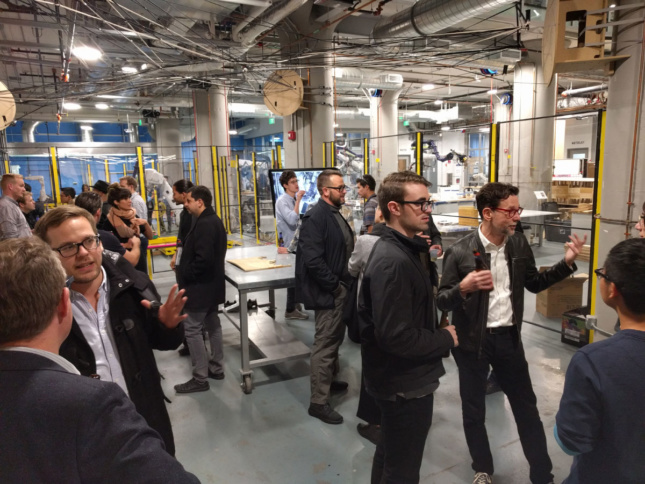 Leading up to the conference itself was three days of intensive workshops hosted at Autodesk BUILD Space in Boston’s Seaport District. ACADIA is a unique organization advancing the computational horizons in architecture. Founded in 1981 by pioneers in the field of design computation, including Bill Mitchell, Chuck Eastman, and Chris Yessios, ACADIA has hosted over 30 conferences across North America and has grown into a wide network of academics and professionals. Second, the turn of values: the open sourcing of production to design processes that empower end-users and will radically change the role of the designer. Design should be a mode of inquiry that now works hand-in-hand with fabrication, said Sarkis. Lastly, he spoke of a turn toward contingency. The traditional view of a designer is that in order to be in control, we need to exclude non-relevant elements. As computational power continues to grow, more contingency enters the process as elements that were once excluded can be brought into the fold, opening design to more variety and possibility than before. MIT Host Committee Co-Chair’s Takahiko Nakamura and Skylar Tibbets welcomed the audience and kicked off the first of 13 paper-based sessions. The sessions ranged from BIM use to Automation, Visualization to Machine Learning. A major sponsorship from Autodesk allowed the ACADIA Board of Directors to award $10,000 in student travel scholarships to paper and project presenters. Breaking up the barrage of research presentations were carefully chosen keynotes from afar and close to home. MIT’s own Neri Oxman kicked off the first day, and the ACADIA Design achievement award was bestowed on designer Thomas Heatherwick that same night. Heatherwick was singled out for his studio’s provocative work worldwide, and he shared insights into his studio’s processes. The award was most recently given to Liz Diller and the late Zaha Hadid. The next day began with two awards for educators: The Innovator Award and Educator Award, which was followed by an education panel. The Educator Award went to Heather Roberge, the new Chair of Architecture at UCLA. Roberge walked the audience through a handful of studio curricula and projects, and spoke on the crucial difference between a model and a prototype, the different kinds of skills that students learn, the difference between handcraft vs machinecraft, and demonstrated how to use molds to visualize parametric concepts and form finding. The second day closed out with a presentation from Paris-based Iconem, an organization using advanced photogrammetric techniques for heritage preservation in conflict zones. 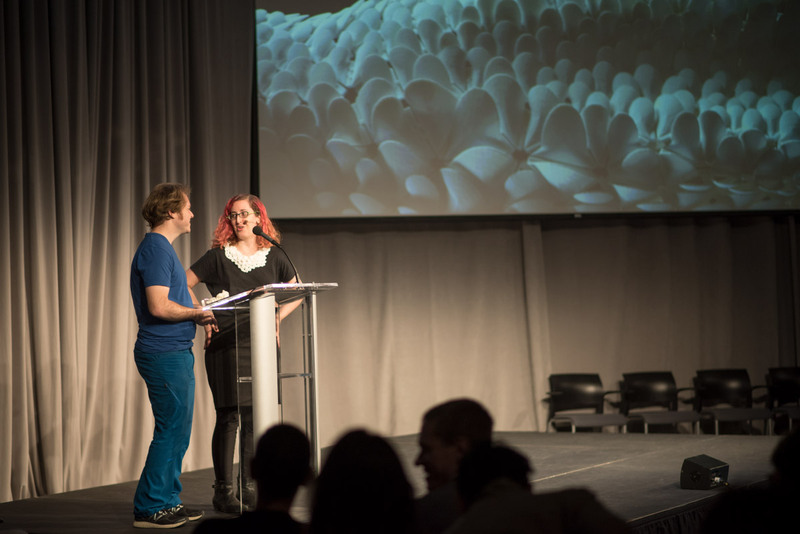 Wrapping up the conference’s final day, Nervous Systems’ Jesse Louis-Rosenberg and Jessica Rosenkrantz described their eclectic design practice, and how the studio uses generative design to create interactive forms. Kathy Velikov, the incoming 2018 president of ACADIA, discussed how ACADIA brings together a community engaged with design challenges and future-facing solutions. Much of the work shown could be brought back to the office or classroom, and either might be applicable today, or open new paths to research or near-future concepts, and tools that will change work across practices. 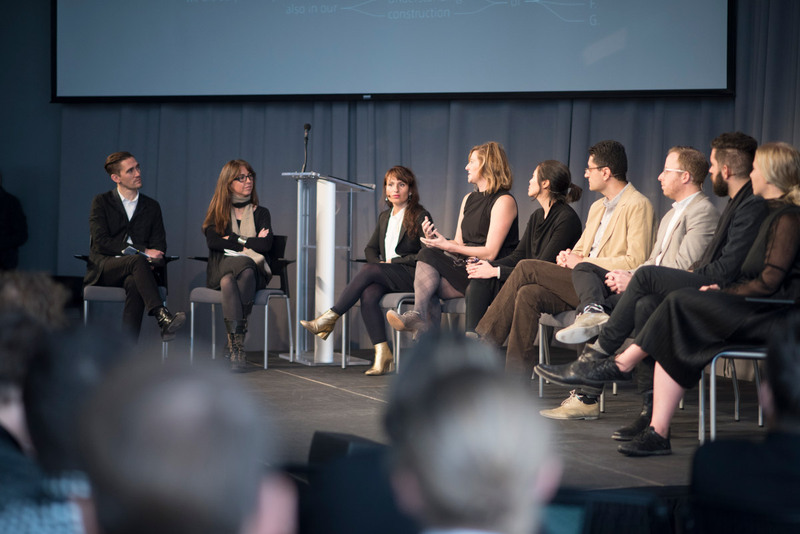 “Besides the obvious attraction of the vibrance, history, and design culture of Mexico City, this is a fantastic opportunity to frame conversations around computational design within a different technological and cultural context, and to be able to open conference to new communities of participants,” he added.